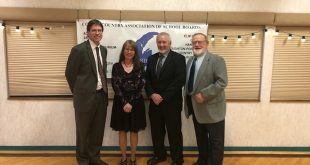 Houghton, Mich. – The future for solar energy in the Western Upper Peninsula just got a bit brighter thanks to a $27,230 grant from the Michigan Department of Agriculture & Rural Development (MDARD) to the Western Upper Peninsula Planning & Development Region (WUPPDR). 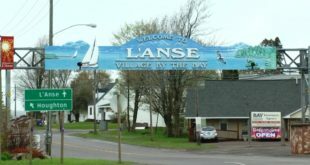 The grant will be used to support a feasibility study for a community solar program in L’Anse, MI. Unlike individually owned and installed solar systems, community solar projects provide power and/or financial benefits to multiple stakeholders within a community. In a community solar model, the actual generation of renewable energy will not occur at a customer’s home or business site. Instead, participating customers subscribe to a portion of a larger, shared solar system located centrally and visibly in the community, and the power generated results in each subscriber receiving a portion of the benefit proportional to their participation. The project is a result of a partnership between WUPPDR, the Village of L’Anse, Michigan Technological University and WPPI Energy. The study will evaluate local residents’ and businesses’ interest in participating in a community solar program and assess potential customers’ attitudes toward pricing options. The study’s results will then be used to estimate the appropriate solar system size (e.g. power generation capacity, number of panels) for L’Anse. The project was one of 17 applications selected from a field of 73 proposals to MDARD’s Rural Development Fund. The grant funds were available for projects that address expansion and sustainability of land-based industries; worker training; and energy, transportation, communications, water and wastewater infrastructure to benefit rural communities. 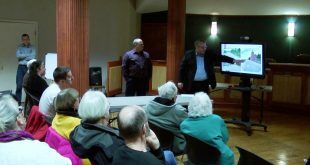 For more information about the project, contact Brad Barnett, Regional Planner, at (906) 482-7205, ext. 316 or bbarnett@wuppdr.org.